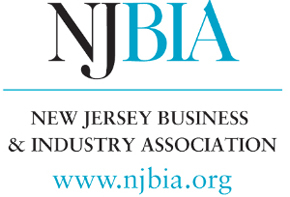 Delran, New Jersey – The Whitesell organization, one of New Jersey’s largest, privately held real estate development and management companies, has been awarded the New Jersey Business and Industry Association’s 2015 New Good Neighbor Award in the New Construction Category for two sites at its 800 acre Haines Center in Burlington and Florence Townships. The buildings are 250 Daniels Way, Burlington Township and 1000 John Galt Way, Florence Township. 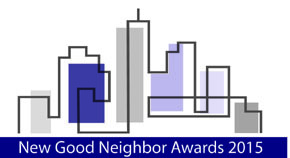 The Association sponsors this competition to recognize those organizations that have enhanced the business environment of New Jersey by creating new or renovating existing commercial properties. An independent panel of judges selected these two properties based upon their economic benefit, job creation, architectural merit and community involvement. 250 Daniels Way is a 677,815 square foot build-to-suit project for Burlington Stores. Burlington Stores not only has greater space and new material handling equipment to increase its capacity and efficiency of operations, but a building that was designed for expandability of 321,000 square feet to accommodate future growth. 1000 John Galt Way is a 406,375 square foot build-to-suit project for Destination Maternity Corporation. The building site and Haines Center enable Destination Maternity to grow into a state-of-the-art distribution center with greater space and new material handling equipment to increase its capacity and efficiency of operations. Both sites are located in an exceptionally maintained, master-planned industrial development with significant infrastructure investment that enables direct access to major highways. 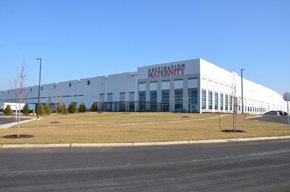 Ideally situated at New Jersey Turnpike Exit 6 and the Pennsylvania Turnpike connector, the Haines Center enables Burlington Stores and Destination Maternity to reap the competitive benefits enabled by same day delivery to a 25-30 million person market area. Founded nearly sixty years ago, the Whitesell organization is a full-service commercial real estate development and management company. 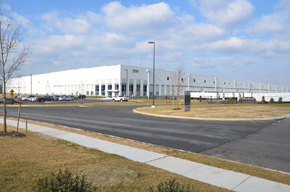 Whitesell’s Class A office, flex and industrial warehouse space comprise over ninety buildings and 9.3 million square feet strategically located in southern New Jersey and southeastern Pennsylvania. For more information about Whitesell, visit www.whitesellco.com.